Pioneers in the industry, we offer anti spatter paste from India. We are engaged in manufacturing and supplying Anti Spatter Paste that is designed in order to fulfill the demand of several industries in order to remove spatter particles in the welded area in various metallic bodies. These are available in various specifications and are noncorrosive in nature. 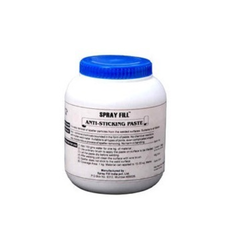 We trade this Anti Spatter Paste in various parts of the Indian subcontinents at competitive market prices.